YouTube’s rumored music streaming service still isn’t official, but a fresh leak from Android Police offers a first look at what we can expect to see once it really does launch. The new service, apparently called YouTube Music Key, will offer a no-frills experience with ad-free streaming, offline listening and an audio-only mode for $9.99 per month. YouTube Music Key could actually solve a lot of issues for anyone who already uses the video-hosting site to stream music on a regular basis. We’d definitely consider paying $10 per month to get rid of all those annoying ads, and the ability to save videos to your phone for offline use would be great as well. The biggest feature may actually be the app’s audio-only mode, which would finally let you play a YouTube video in the background and then jump into another app without automatically pausing the song. 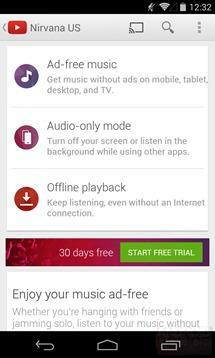 So what about Google Play Music All Access? 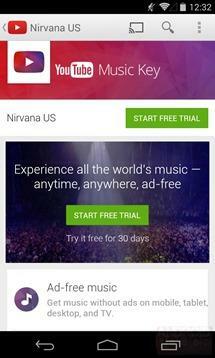 The search giant will apparently rebrand its existing service as Google Play Music Key. Even better, your subscription to YouTube’s paid service will come with free access to Google Play Music as well, though it’s unclear if this offer also means anyone already paying for the original Google service will get free access to this new one. 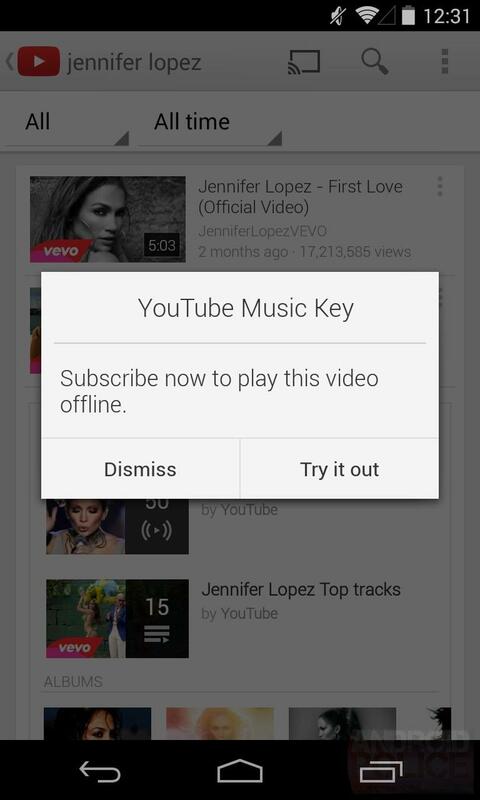 There’s still no word on when YouTube Music Key will actually launch, but we can’t wait to try it out for ourselves. Anyone who already spends a lot of time on YouTube knows the site offers a ton of awesome music you really can’t find anywhere else including live shows, covers, remixes and curated playlists. All things considered $9.99 is a small price to pay for all the benefits that come with an official music streaming app.